Sublime Text is basically a cross platform text and source code editor which is build using Python Application Programming Interface. Just the way we extend Eclipse’s functionality using force.com IDE plugin, we can use Sublime Text with a plugin called MavensMate. MavensMate is Sublime Text plugin for force.com developers, this plugin allows you to perform operations like compile apex classes, trigger, built visualforce pages, deploy apex test to server. 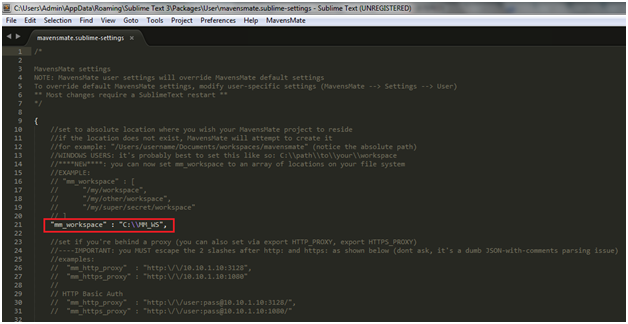 Once, you have downloaded the exe file, Runthe file to Install Sublime Text in your System. Now, go to All Programs and open Sublime Text 3 and there you go!!! You have successfully installed Sublime Text in your System. Now, you can use this Sublime Text as a Text Editor to view your code or modify it. It comes with a lot of different language syntax which makes it easy for developers to view their code in a specific language and modify it. Now that we have installed Sublime Text and played around a bit to know how it works, we could install MavensMate to make it more useful for us (Salesforce Developers). Let me give you a small background on what is MavensMate. If you are a developer you must be knowing about Eclipse,not the one in which one heavenly body shadows the other one, but the Eclipse Software, which is extensively used in developing applications. Now, if you are a Salesforce Developer, you must be knowing the so called Force.com IDE plugin, which makes our Eclipse Force.com Platform specific. It helps us connect to our Salesforce Environment using Username and Password. After which we can push/pull changes to/from our Salesforce Instance. You could compare Eclipse with Sublime Text and MavensMate with Force.com IDE.MavensMate is the open source alternative to the Force.com IDE and is compatible with Sublime Text. Lets go ahead and install MavensMate for our Sublime Text. First of all, open your Sublime Text editor and go to Preferences and search for Package Control. 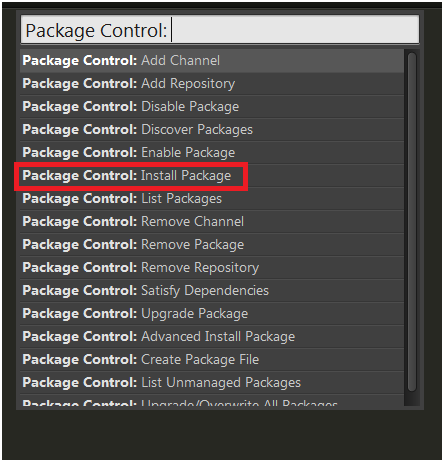 If you could not find Package Control under Preferences, you would have to install it manually. 3. Search for MavensMate in the Search Box. 4. Clicking on MavensMate would automatically run a Python script in the console and install the plugin. 5. Once you have installed MavensMate, it is always good to Restart you Sublime Text. 6. You could find the plugin access as a tab in your Sublime Text editor by the nameMavensMate. 7. Click on MavensMate - MavensMate API (mm) - Update MavensMate API (mm). This would run a python script to update and ensure, that your MavensMate plugin is up to date. WHOLLAAA !!!! You have successfully installed MavensMate for your Sublime Text. 2. Copy the folder path, we would need it in a while. 4. Search for "mm_workspace" and paste the workspace folder path you copied earlier. Note: use conventional Front Slash (\) in your path (for Windows). In case you are using any other operating system, you probably would want to use Back Slash (/)in your path. Now that we have created a workspace for our MavensMate projects, lets go ahead and create our first Project. 1. 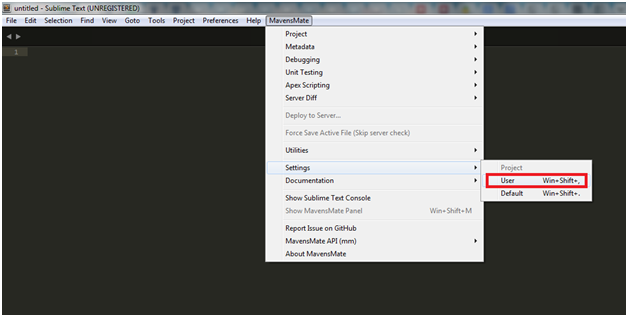 Open Sublime Text - Click on MavensMate - Project - New Project. (Make sure your Internet is working). 2. Clicking on New Project would take you to a user interface where you can enter your Salesforce Instance Credentials (For which you want to create the Project). 4. You can multi select the Metadata. CONGRATULATIONS !!!! 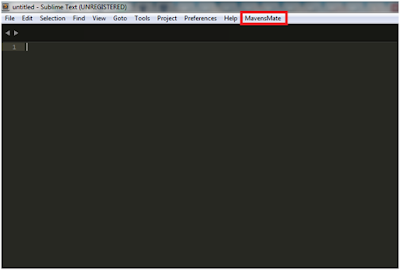 You have successfully created you first MavensMate Project in Sublime Text. Sublime Text comes with some cool tips and tricks to make User Experience rich, sleek and easy. I would show you here a small example of one such trick. Imagine a situation, where you have pasted some code in your text editor and working on it. While performing the modifications, you realise there is a particular variable name or a method name (OR any text for that matter) needs modification in some part of the pasted code / or the whole code. What would you generally do: Change the text at one place, copy it and then keep on find the former text at other places and change it with the later text (the one you copied). Sublime Text makes it easier for you. You could double click on the text to be replaced at one place (preferably, the first time it has occurred), then keep on adding other instances using Ctrl + D, you could skip the current instance using Ctrl + K, Ctrl + D. Also you could deselect the current instance using Ctrl + U.
Doesn’t it sound interesting !!! Try it out, it is fun!! !